Subprime financing today has become a tool of choice for many car buyers that have had credit affected one way or another whether it was from a previous repossession or even a bankruptcy, sub-prime is a choice that like repo is not really out on billboards or everywhere you look. Sub-prime financing is part of a dealerships financing structure, it is one of those things that automatically comes into play after your credit is ran. In fact these days most companies have different tier sub-prime loans available. For example perhaps you have a 580 credit score, you will likely be in the C tier sub-prime area, where if you had a 620 you could be in the B or even A rated credit area. 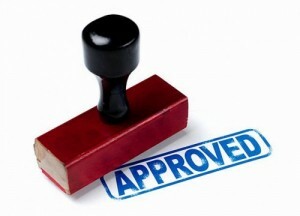 When you get a credit offering in the mail, it usually signifies that you have had a lower than normal credit rating. A subprime finance company that we dealt with during our first year in the business worked by finding post bankruptcy people and making them a credit offer based on the severity of the bankruptcy or past repossessions. They did great, they had built over 150 employees with only around 4 in the repossession department which i’ll explain later. They developed relationships with only a select few franchise car dealerships and never worked with used car dealers. These sub-prime lenders and in house tier lenders are pretty much the only choice for a recent bankruptcy customer or previous repossession. You will almost always never have these options available at the friendly neighborhood bank or any banking institution for that matter. The good is simple, if you really need to borrow and do not want to tighten the belt and buy a cheap used car until your credit increases once again this option is available. Many people do not want to buy a used cheap car as they may not be as reliable as a new car or a dealership car that is still under warranty and others just can’t resist a new car. Some people just live their lives with a new car payment as part of the monthly bills. Another thing that can be added to the good side of subprime financing is the fact that if you do pay on time each and every month you will quickly build that credit up again with the ability to perhaps refinance into a better loan or just trade out of that car into a new car with a good non sub-prime rate. Refinancing a car loan or trading up after a huge credit increase can be done in as little as a year or two so you may want to pop into a dealership a year or two later and see where you are standing loan wise as it might be cheaper to get a new car at that point. There are a few bad parts to a subprime loan and the biggest one would be the interest rate, the interest rate on a subprime loan will typically make your payment much higher than a conventional rate usually in the high teens depending on tier. The second bad part is not with all lenders but most sub-prime lenders automatically have a strong collection effort in place leading to quicker action in collection efforts, higher late fee,s and quicker repossessions than a conventional lender will do. In a sub-prime loan you will have less room for negotiating and worse treatment where a conventional lender will be happy to skip a payment adding it to the back end of the loan and working with you to keep you out of repo status. A subprime lender will put you up for repossession quicker as well in most cases. Is a sub-prime loan worth it? While there are many benefits as well as cons as you can see above, it really boils down to personal preference and discipline factors. Sub-prime loans are used for everything today, even housing and contrary to popular belief, even with the higher interest rates and higher payments, the amount of people in default are really much fewer than what it seems. The subprime lenders and finance companies we worked with in the past have showed us sheets on how low the percentages of defaults as opposed to conventional loans. Subprime is a very last shot for many people therefore those that do get a lower tier loan will do anything to keep it current and this essentially leaves the default segment at a much lower rate than expected.